Italian giants Inter Milan are open to offers for Ivan Perisic that are “difficult to reject,” club manager Luciano Spalletti has revealed. 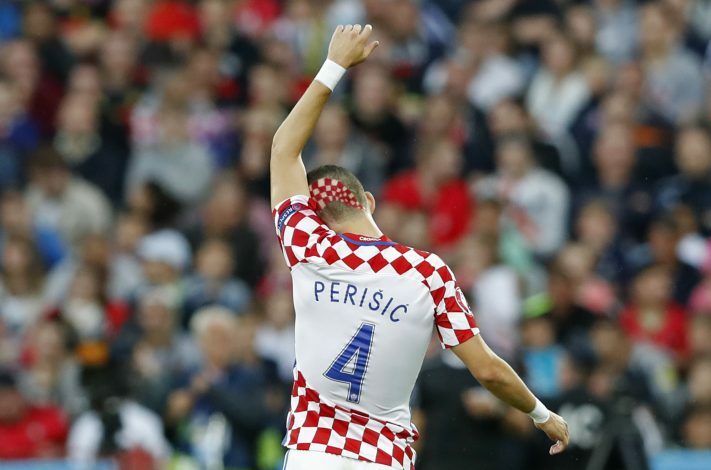 The Croatian winger has been linked with a £48m move to English club Manchester United this summer, but a deal hasn’t been agreed, with Inter refusing to bend on the desired sum and also wanting Anthony Martial in exchange. United have refused to play any part in the talks, and a deal has stalled in relation to the same. Inter manager Luciano Spalletti has claimed that the club wants to keep the 28-year-old, but would reluctantly sell the former Wolfsburg player to free up funds to strengthen his squad. The club is desperate to bolster its squad, after seeing city rivals AC Milan spending a lot of money to get a grip in the Serie A.
Spalletti believes that the Croatian is an important player of his squad, and is expecting him to start the season with Inter. “He’s an important player in the team and we’re counting on him to start the new season,” stated the ex-Roma boss. He further added that despite rumours, the club is keen to keep the winger, but if a team comes up with a vital offer, the side will be tempted to sell their star. “Sure, there were rumours, but the status quo is that we want to keep Perisic. Having said that, if someone comes in with a very difficult offer to reject, then we’ll consider that,” Spalletti stated.